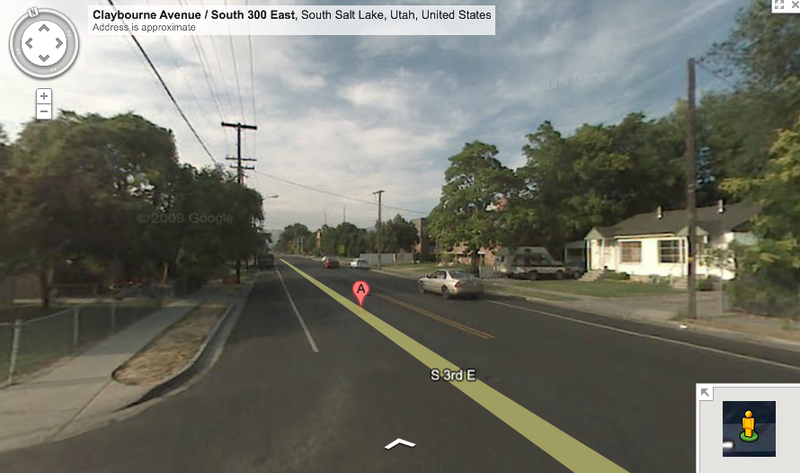 Dangerous streets claimed another life this weekend in Salt Lake County. According to KSL, a 39-year-old female pedestrian was killed by a car while crossing 300 East around 2763 South in South Salt Lake. A police spokesman said the accident happened around 9 pm. 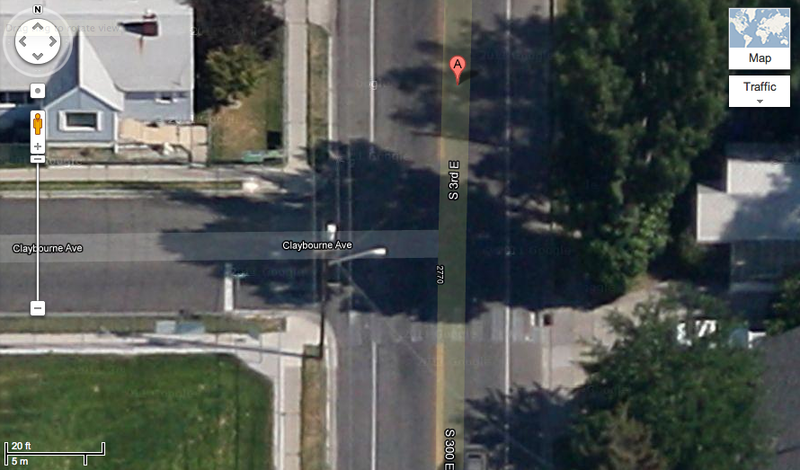 “She was not in a crosswalk, but she was in very close proximity to a crosswalk,” he said. The article is light on details, but it’s worth remembering that the crime of jaywalking — and the idea that people generally shouldn’t be in the streets — was invented by the car industry as a way to boost companys’ bottom lines. That the woman was “not in a crosswalk” — or in other words outside of her rightful place — shows just how successful the effort to invent jaywalking has been. The crosswalk reference also seems like a major takeaway from this story; it suggests a culture wherein a person is somehow partially culpable for their own demise if they step outside a painted line. So let’s just be clear, it’s never okay to run over pedestrians with cars. A woman was killed near here by a car Saturday night. There are a couple of crosswalks here, but they’re so faded they’re difficult to see. This street stands out from recent trouble areas for its comparatively narrower width, sidewalks, trees, and homes. It’s not great and I wouldn’t love to walk here, but in many ways it is actually better than other troubled spots. The key weakness, however, appears to be a lack of adequate pedestrian crossings. The first picture in particular seems to show a long, unbroken stretch without crosswalks or stops signs. The point, then, is that we need better pedestrian crossings as well as a better way to talk about accidents when they happen.